Qualcomm hopes to "reshape the future of datacentre computing," with the launch of its new 10nm server processors. Today it launched the Qualcomm Centriq 2400 family of processors, built on the 10nm FinFET process, and sporting as many as 48 custom ARMv8-compliant cores. The demonstration and release of engineering samples of these server-targeted chips to key customers is a significant milestone for Qualcomm, and for the server processor business as a whole. Today's announcement shows that Qualcomm is "leading the industry to the next-generation node," claims the company. As the growth of cloud-based businesses and services continues it has provided opportunity for new entrants to the datacentre market. Furthermore, server customers will renew and upgrade their servers if models with worthwhile energy savings and/or processing power advantages turn up. 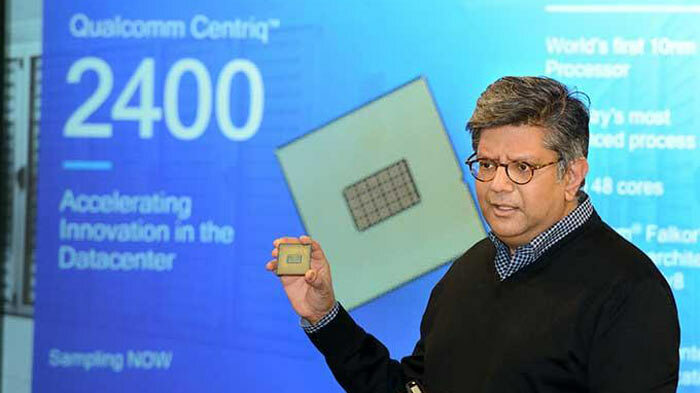 Qualcomm's industry first 10nm FinFET process chip, the Centriq 2400 series, is said to facilitate "server solutions optimised for total cost of ownership, while meeting performance, efficiency and power demands". Anand Chandrasekher, SVP and GM at Qualcomm Datacentre Technologies, Inc. said that its lead in server processor development was essential to today's advance, as Qualcomm chose to "bring the leading edge to the datacentre". 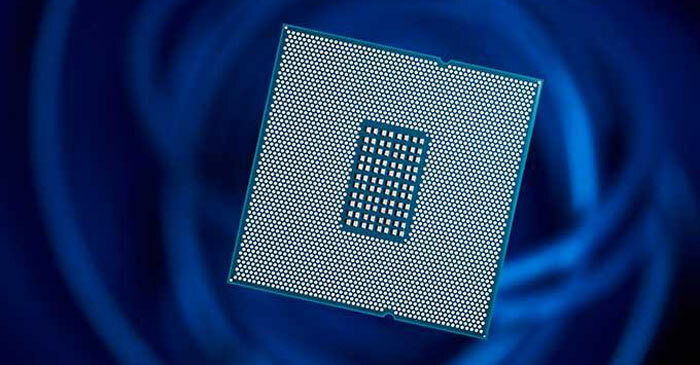 Its new ARM processors should reap the benefits of the 10nm process before traditional chip-making industry leader Intel can catch up. At its launch event Qualcomm demonstrated Apache Spark and Hadoop on Linux and Java running on a Qualcomm Centriq 2400 processor. Samples are now in the hands of key customers and commercial production should make these processors, with up to 48 cores, available by H2 2017. I didn't sleep very much last night and that's the excuse I'm sticking to! Seems a bit of a content free press release that. 48 cores, usually that would be for a VM farm which throws up lots of questions, like how much RAM can you plug in, virtualisation support. Can't see it turning up on a Raspberry Pi clone any time soon though, so I'm probably out. Aren't Arm servers still a niche thing, many have tried before and not been able to make a dent, way too much software reliant on x86 to make it worthwhile. Samsung will probably put 2 of them in the Galaxy S9…. It hasn't really been tried in a big way, HP Moonshot blades are the only things that really spring to mind. There really isn't a reliance on x86 in the data center though, most software is Linux so already there for ARM, the best hardware you can buy is IBM with a Power CPU.